1ST RUNNER UP: Melodi J. Photos of the 2/24/13 Contest Coming Soon! All contestants will receive a 15% off and regularly priced photo session. Including: Birthdays, Graduations, Bridal, Costume Photos, Engagement, Newborn/Children, Corporate Events, Family Photos. 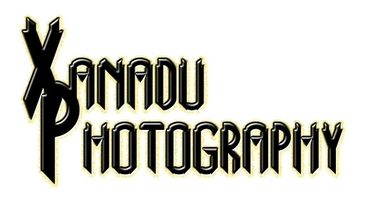 Xanadu Photography will also be present at the contest taking live shots! SHIMMY SHOWDOWN STAR: LipSense brand "Crimson Red" lip color with the famous "Gold Glitter Gloss" ($50 value) donated by Isabella, Coin Hip Scarf donated by Yamina, 1 full photo session package from XANADU PHOTOGRAPHY: ($230 Value Includes: 2 hour photo session in location of their choice. Up to 2 outfit changes. CD with up to 50 hi-res photos. 1-8x10 of their choice and 1-4x6 of their choice), 1 hour Private Lesson with Tamra Henna, "By Dancers for Dancers Vol. 3" DVD donated by Tamra Henna, Free six-week session of The Ultimate Bellydance Challenge Class with Sa'diyya, 3 hour workshop pass with Sa'diyya, 1/2 off one hour private lesson with Sa'diyya ($37.50 value), "By Dancers for Dancers Vol. 6", "Combination Nation Vol. 2 & 3" DVDs donated by Sa'diyya, & a featured performance at the April 2013 Shimmy Showdown Bellydance Contest! SHIMMY SHOWDOWN CROWD FAVORITE: Samba music CD by Michael Bo'azz ($20 value) donated by Yamina, 1 full photo session package from XANADU PHOTOGRAPHY: ($230 Value Includes: 2 hour photo session in location of their choice. Up to 2 outfit changes. CD with up to 50 hi-res photos. 1-8x10 of their choice and 1-4x6 of their choice), 1 hour Private Lesson with Tamra Henna, "By Dancers for Dancers Vol. 3" DVD donated by Tamra Henna, Free six-week session of The Ultimate Bellydance Challenge Class with Sa'diyya, 3 hour workshop pass with Sa'diyya, 1/2 off one hour private lesson with Sa'diyya ($37.50 value), "By Dancers for Dancers Vol. 6", "Combination Nation Vol. 2 & 3" DVDs donated by Sa'diyya, & a featured performance at the April 2013 Shimmy Showdown Bellydance Contest! SHIMMY SHOWDOWN STAR 1ST RUNNER UP: 1 partial photo session package from XANADU PHOTOGRAPHY: ($150 Value Includes: 1.5 hour photo session at location of choice. Up to 2 outfit changes. 1-8x10 of their choice and 1-4x6 of their choice), "By Dancers for Dancers Vol. 3" DVD donated by Tamra Henna, 3 hour workshop pass with Sa'diyya, 1/2 off one hour private lesson with Sa'diyya ($37.50 value), "By Dancers for Dancers Vol. 6", "Combination Nation Vol. 2 & 3" DVDs donated by Sa'diyya! SHIMMY SHOWDOWN STAR 2ND RUNNER UP: 1 partial photo session package from XANADU PHOTOGRAPHY: ($150 Value Includes: 1.5 hour photo session at location of choice. Up to 2 outfit changes. 1-8x10 of their choice and 1-4x6 of their choice), "By Dancers for Dancers Vol. 3" DVD donated by Tamra Henna, 3 hour workshop pass with Sa'diyya, "By Dancers for Dancers Vol. 6", "Combination Nation Vol. 2 & 3" DVDs donated by Sa'diyya!